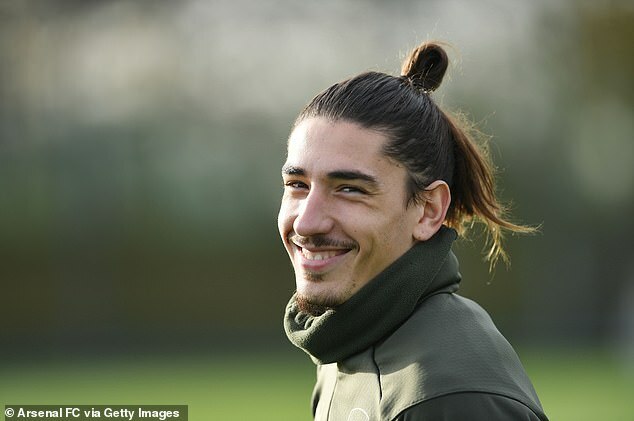 Arsenal players were still in high spirits as they prepared for their clash with Manchester United on Wednesday. 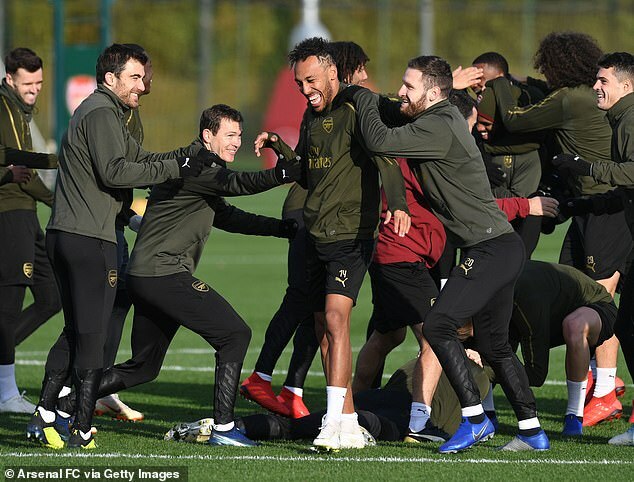 The Gunners stars could be seen jumping all over striker Pierre-Emerick Aubameyang, one of the heroes from their north London derby success against Tottenham on Sunday. 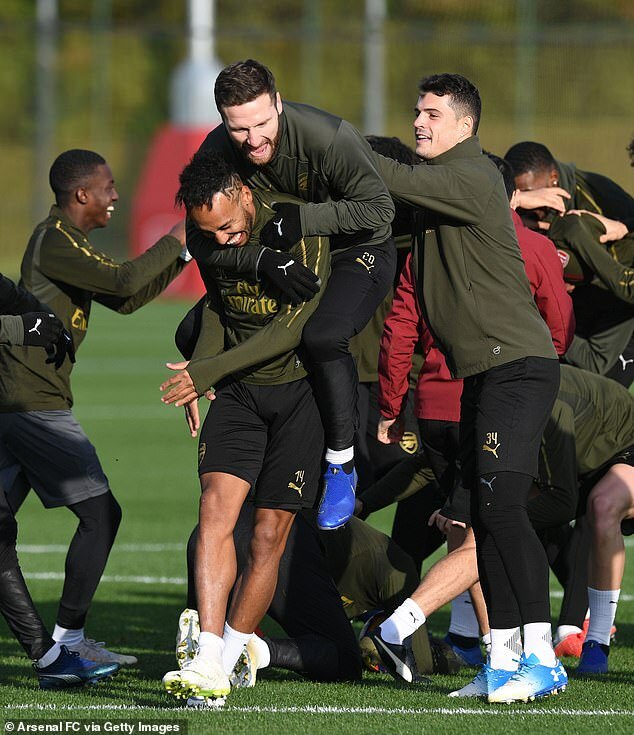 Shkodran Mustafi caught a lift on the Gabon international’s back and smiles appeared to have never left the faces of the players since their 4-2 win. Arsenal must now get serious once again though, as they face a trip to Old Trafford on Wednesday evening to face familiar foes United. It is a game that will see boss Unai Emery looking to bring up 20 matches unbeaten in all competitions. And despite the problems troubling Jose Mourinho and his side at the moment, the Spaniard still expects a tough game. ‘It’s a new match, a new challenge, a big challenge. It’s away and we need to continue improving our mentality away,’ Emery said in his pre-match press conference. ‘We know we need to change to get more competitive away. I think the team is doing that, but it’s a new challenge because we’re going to play against Manchester United away, and the challenge is bigger than other matches. ‘For us, it’s a very exciting match. The preparation for this match is also a big motivation for us. It gives me a big motivation for Wednesday.